Unveiled at the Los Angeles Auto Show, the brand new Chevrolet ZR1 will certainly be one of the most anticipated models of 2018. It may not be a volume model, but it certainly is the perfect showcase for just how well Chevrolet is capable of designing a high-performance vehicle. The Chevrolet Corvette ZR1 will be able to take on all comers, and it will be do so by turning heads everywhere it goes, and also making automotive enthusiasts quiver at the sound of the engine. The brand new Chevrolet Corvette ZR1 is simply mind-blowing when it comes to power. Under its massive and muscular hood we find a 6.2-liter supercharged V8 engine that pumps out an incredible 755 horsepower and 715 pound-feet of torque. Based on preliminary numbers, the new ZR1 should reach 100 km/h in about 3.0 seconds, and cross the quarter-mile in a little over 10.0 seconds. These are supercar numbers. As a matter of fact, these numbers blow many supercars right out of the water. Top speed is expected to be well over 300 km/h. Other features of the new Chevrolet Corvette ZR1 include four modes for the exhaust system that allow you to make the car loud, louder, or ridiculously loud. That said, there is also a Stealth mode for those mornings where you don’t want to wake up every neighbor on your street. With Stealth mode activated, the brand new Chevrolet Corvette ZR1 is quieter than a Corvette Z06. No doubt about it, Chevrolet engineers have thought of everything. 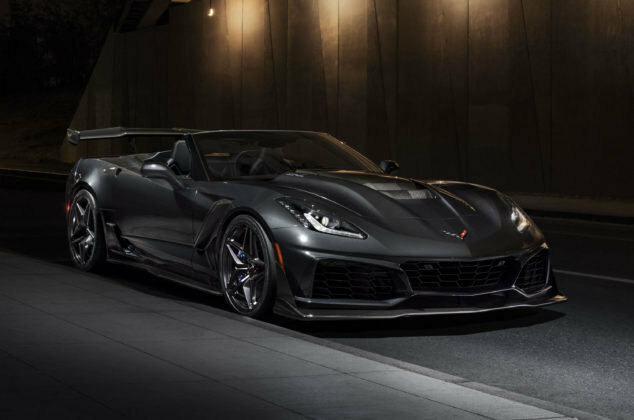 The previous-generation Chevrolet Corvette ZR1 was only available with a hard-top, but this current generation will feature a convertible version, the first that has happened since the 1970s. You’ll therefore be able to enjoy the brand new Chevrolet Corvette ZR1 with the sun shining on your face in summer. On the other hand, you will also be able to enjoy it on a track thanks to basically the same mechanical setup as the coupe. Indeed, the Chevrolet Corvette ZR1 convertible shares the same suspension, chassis, and the same underbody. It therefore will be as sharper on a closed course. And thanks to two wings including a massive optional wing that provides nearly 1,000 pounds of downforce, you will always be glued to the road in the brand new Chevrolet Corvette ZR1. To learn more about the brand new Chevrolet Corvette ZR1, contact us today at Bruce GM Middleton.